Our traditional wooden play fort is an effective and fun way to keep children occupied for an hour or two. 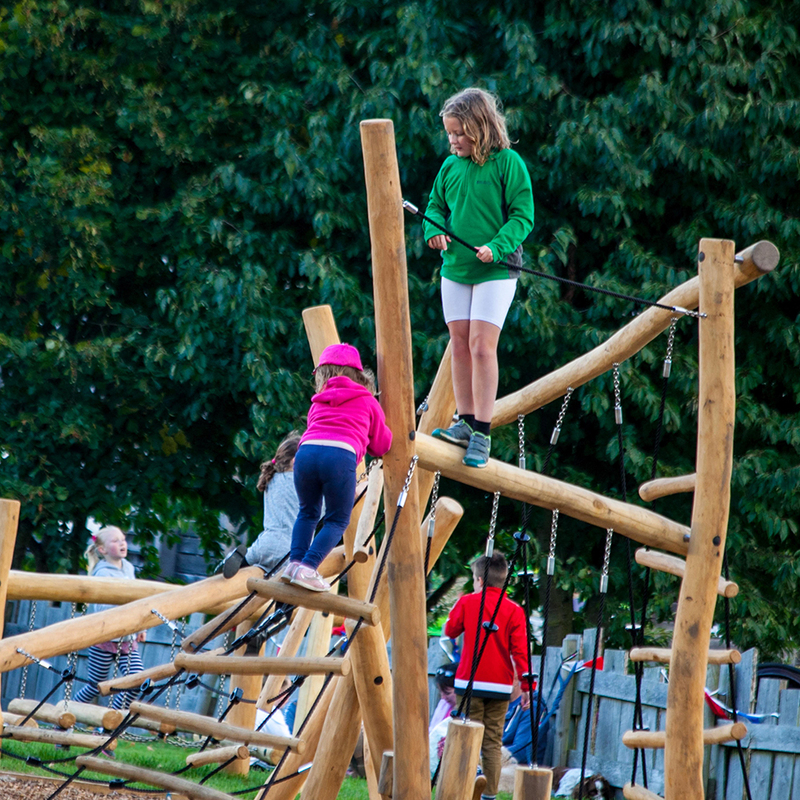 Clambering and sliding over its struts and platforms, they can let their imagination roam freely as they conjure up soldiers, pirates, dragons and mountaineering adventurers. The fort was designed by local craftsmen. 2016 saw the arrival of our exciting wooden adventure playground, rope swing and outdoor ping pong, which makes for excellent entertainment for children of all ages. So grab a coffee and watch your children run wild!